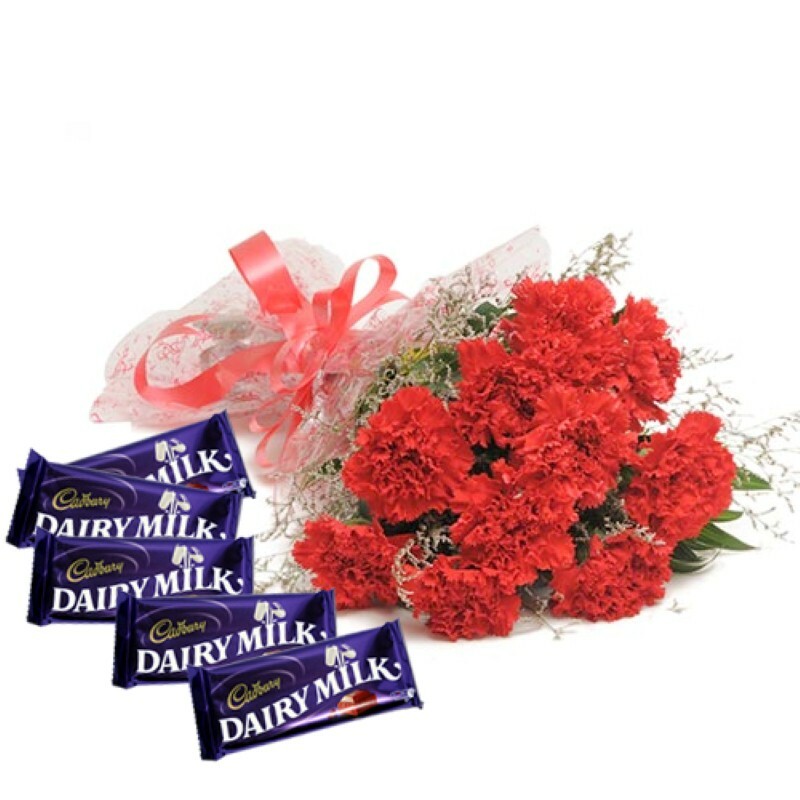 Product Consists : Hand Bunch of 10 Red Carnations along with Cadbury Dairymilk Chocolates (Weight : 50 Gms). Red Roses Symbol of love while Red carnation represents admiration and affection. This hamper comprised of stunning bouquet of ten red carnations which surely convey your undisclosed deep heart emotions. Chocolate is very best gift for anyone at any occasion. 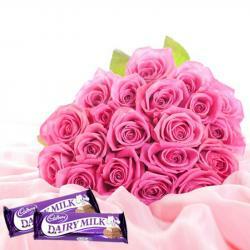 It is also consisting the Cadbury Dairy milk Chocolates which make your love one mood happy and give reason to smile. Send this gift for your love ones to make your dear ones feel special. So go ahead and by this gift hamper now. 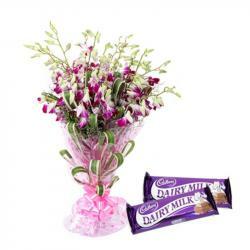 Product Includes: Hand Bunch of 10 Red Carnations along with Cadbury Dairy milk Chocolates (Weight: 50 Gms).